Non-native Rubus (blackberry) is widespread in the Pacific Northwest and causes negative impacts to native habitats. This community science project is in its second year and will survey the presence of four non-native Rubus species in select Portland parks and natural areas throughout the city. The research will help with the early detection of a relatively new invader to northern Oregon, Rubus vestitus, and inform invasive Rubus management and control strategies. A training session for Invasive Rubus Community Science volunteers is scheduled for Wednesday, May 22 from 10-11am. 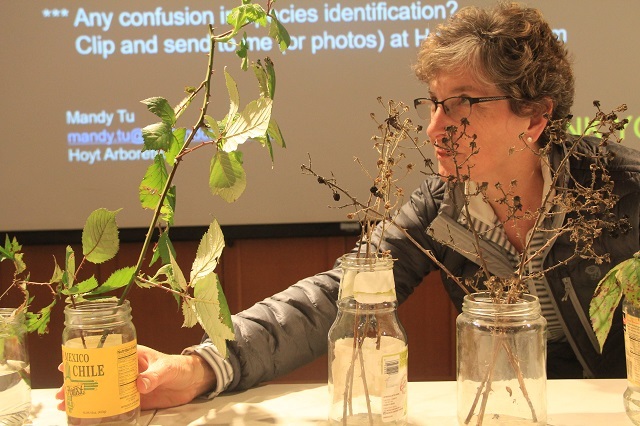 During this training, volunteers will learn to identify the four invasive Rubus species, choose their assigned parks or natural areas, and learn to collect data and record their observations. For more information or to sign up, please sign up below, email volunteer@hoytarboretum.org, or call (503) 823-1649.